John Miller was born in 1978 near Atlanta, Georgia. He grew up in a multicultural home, having a mother from Vietnam and a father from the United States. Though he grew up in a church going family, John had no interest in Christianity as a child. But when John was a teenager, God, in His great mercy, opened his eyes to the reality of his sin and rebellion against God. The Lord also opened John’s eyes to the forgiveness found through Jesus Christ’s sacrifice, and he was granted repentance and faith in 1994. After his conversion John became a member at a local Southern Baptist congregation and was active in the youth group. During that time John began to sense an inner call to the ministry, and a desire to be involved in the work of spreading the gospel in other lands. In 1997 John moved to Greenville, SC to attend Furman University. During his time at college, John grew in his understanding and experience of God’s grace, particularly through the ministry of the Reformed Baptist church he attended and the campus ministry in which he was involved. Through the expository preaching and study of the Scriptures John came to embrace the doctrines of God’s sovereign grace and rejoice more deeply in the love of God shown to him. He also become convicted of his need to be baptized as a believer and was baptized on January 10, 1999. During this time, John also grew in his understanding of the ministry through the mentorship of the pastors who met monthly with a group of young men interested in the ministry. The group read books, memorized the Westminster Shorter Catechism, and discussed various topics, such as calling, pastoral ministry, preaching, evangelism, missions, revival, covenants, the Law and the Gospel, and more. As John discussed his growing desire for the ministry with the elders, they began to give him various opportunities to serve and teach in the church in order to discern whether or not the Lord was calling and gifting him for the work of the ministry. John completed his Bachelor of Science in Computer Science in 2001 and gained employment with a computer-consulting firm in Greenville, SC. As he continued to serve in the church, the elders encouraged John to pursue formal theological training. John began full time studies at Greenville Presbyterian Theological Seminary in the fall of 2003. In July of 2004, John married Elizabeth, who grew up in the church in Greenville and also graduated from Furman University. Through serving the Lord together in the local church, they had developed a godly friendship that blossomed into the blessing of marriage. John grew in his walk with the Lord during his time in seminary. He was blessed through his studies and interaction with godly professors and students, as well as through continuing to serve in the local church and put into practice the things he was learning in the classroom. John also served as a pastoral intern at Grace Baptist Church for ten weeks in the summer of 2005. While in seminary, John’s heart for church planting and missionary work continued to grow. In his last two years of seminary, John helped the church in Greenville begin a church plant work in Asheville, NC, and he also visited missionaries in other countries to learn of God’s work in those lands. After completing his Master of Divinity in 2007, John and his family moved to Carlisle, PA where he served as a Pastoral Assistant at Grace Baptist Church for three years. During this time, the Lord continued to grow John in his gifts and graces and in his love for God’s people. John also continued to have a heart to spread the gospel and plant churches, assisting the church in beginning the work of planting Grace Reformed Baptist Church in Camp Hill, PA. 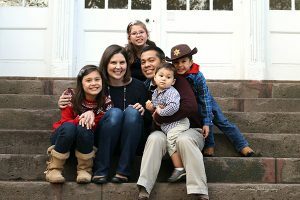 In 2010 John was called by a sister church to be the church planting pastor of a new work in Clarksville, TN. John and his family joined with four other families with the goal of seeing the Lord establish a Reformed Baptist church. By the blessing of God, the church plant grew and constituted in May of 2014 as Covenant Baptist Church. Since constituting, the Lord continued to grow the congregation and enable the church to be involved in planting another church in Lookout Mountain, TN. In 2017 John accepted the call to serve as a pastor at Grace Baptist Church and moved back to Carlisle with his wife and four children. John is delighted to serve the Lord through ministering to God’s people here at Grace Baptist Church, prayerfully looking forward to seeing the Lord continue to grow our congregation in maturity in Christ and continued involvement in spreading the gospel both here and abroad, all to the glory of our Triune God.